Throughout history, the shield has protected soldiers in battle. The Conquest Award is similar in design to a shield. 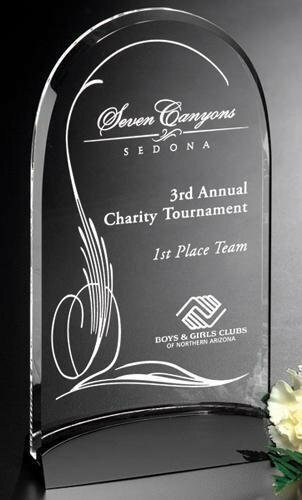 This design allows for detailed personalization and other design options while maintaining an air of success and pride. 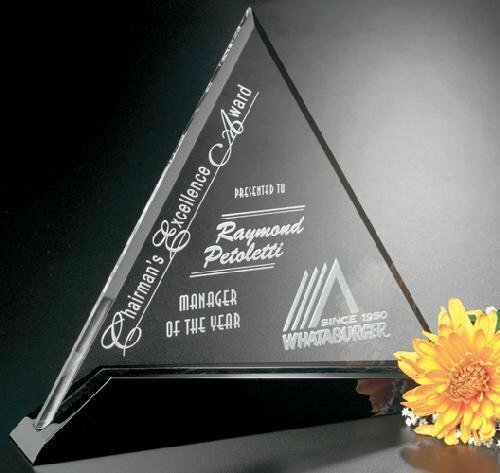 This award is available in three sizes. Features an attached optical black or clear optical crystal base. Handblown of the finest quality crystal in Eastern Europe by skilled artisans, no two pieces are exactly alike. Packaged in an attractive gift box. 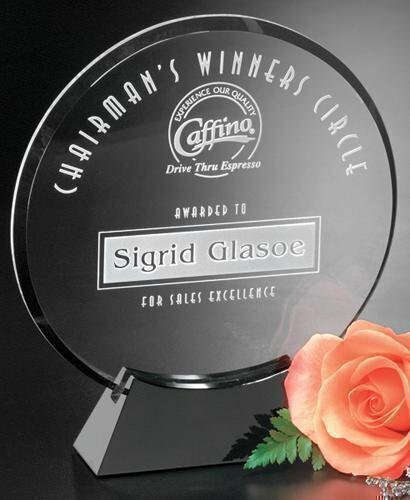 The graceful oval award shape and beveled top of this optically perfect award add amazing reflective qualities to the Cosmo Oval Award. 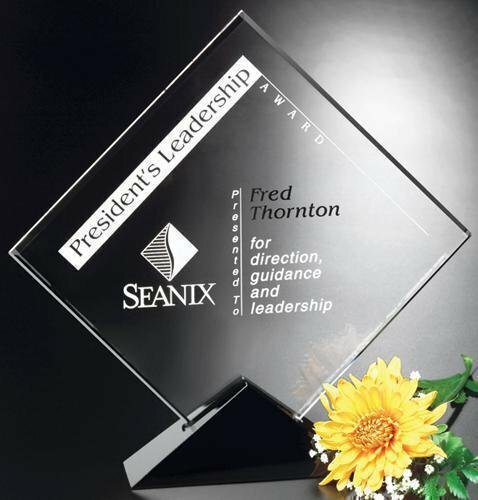 The black glass accentuates these reflective qualities to make a truly unique award.